Dr. Flowers can give you the beautiful smile you have always wanted. Over the last 30 years, thousands of local area residents have received gorgeous new smiles through Dr. Charles Flowers’ gentle smile makeover procedures. Thanks to his leading-edge equipment and advanced cosmetic dentistry training, Dr. Flowers can perform a variety of smile-enhancing treatments right in his office. To stay on top of the latest smile-enhancing techniques Dr. Flowers has completed extensive advanced training in cosmetic dentistry over the last three decades. His vast knowledge of how the mouth, teeth and jaw are constructed is vital when performing complete smile makeovers. Dr. Flowers will use his extensive training and experience in cosmetic dentistry to make sure your new smile is not only radiant, but also fully functional and will last a long time. Digital X-rays will be taken to help plan your cosmetic treatment. After your goals for your new smile are established, Dr. Flowers will take the low-dose digital X-rays needed to plan your cosmetic treatment. If necessary, Dr. Flowers will also take impressions of your teeth to create a wax study model so that you can actually see what needs to be done. And, if you like, you can even bring in a photo of what your teeth used to look like and Dr. Flowers will strive for that. Next Dr. Flowers will explain your options and propose a treatment plan for you. Whatever procedure(s) you ultimately decide upon, you can be sure Dr. Flowers will make sure you completely understand exactly what to expect. Not only will Dr. Flowers take care of the aesthetics of your smile, he’ll also make sure you keep proper function. Cosmetic dental work needs to fit with your bite and muscular system. If this is not done, you can experience unnecessary wear on your teeth. Dr. Flowers uses high-quality materials to ensure you get a beautiful new smile that will last. Dr. Flowers will recommend the cosmetic procedures that are best suited to the condition of your teeth, your goals and your budget. You can count on him to pay careful attention to the details in each cosmetic treatment that he performs. To find out more about the different cosmetic treatments Dr. Flowers can use to create healthy, dazzling smiles just click on a link below. This is the application of a high-grade composite material to the front of your teeth. Although dental bonding is a less enduring alternative than porcelain veneers, it is more affordable. 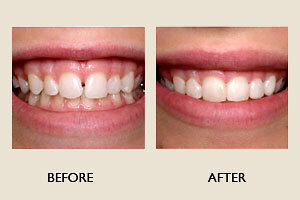 Veneers are normally used to cover stained, chipped or discolored teeth. They can also be used to close gaps and to fix mildly crooked teeth. Crowns are usually used instead of veneers for cosmetic purposes when a tooth is too decayed or broken down for a veneer. Not only can crowns fix similar dental conditions as veneers, but they also have the added benefit of improving your bite. A bridge is an option for replacing missing teeth. A bridge replaces missing teeth by using porcelain prosthetic teeth that are supported by your own natural teeth on either side, or by dental implants. Implants are a tooth-like replacement for missing teeth that can enable you to eat, smile and talk naturally and comfortably. Over the decades, Dr. Flowers has successfully performed several thousand implant procedures. A white, bright smile is an important social asset. It can enhance your appearance and boost your self-esteem. It can turn heads, open doors and portray confidence. Dr. Charles Flowers provides two advanced ways to whiten teeth that have yellowed because of coffee, tobacco or from just age itself. Dr. Flowers offers both SheerWhite take-home whitening strips and Natural Elegance custom whitening trays. The SheerWhite professional-strength teeth whitening strips can whiten your teeth in as little as five days instead of the typical ten. 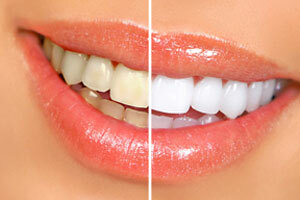 SheerWhite strips are safe, taste good and adhere to teeth better than other teeth whitening strips. Natural Elegance is a take-home whitening kit featuring a state-of-the-art teeth-whitening formula. Dr. Flowers will take impressions of your teeth to make a customized take-home whitening tray for you. He’ll give you complete instructions on how to use the tray and whitening tubes. The trays are made here in the office and available for next day pick-up.